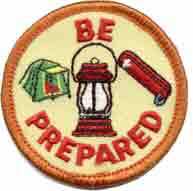 If you are familiar with the boy scouts, you will recognize this this fundamental moto: always be prepared. Based on this famous motto, Dr. John Berardi offers this important piece of nutritional advice: be a nutritional boy scout. 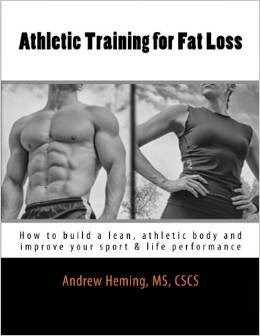 Anyone trying to do performance nutrition in the real world finds that life can be crazy at times and when something unexpected happens and you easily find yourself in a very non-ideal situation for following your performance nutrition plan. If you find yourself hitting a fast-food joints, vending machines or popping a store-bought protein bar on a regular basis, then it likely means that you are not planning ahead and being prepared. This week in our 52 Weeks to Better Nutrition and a New You, it is time for that to change. It is time to develop and emergency nutrition plan. Here are three strategies that you can adopt to help you make high-performance nutrition work in the real world. For most people, regular meal prep will eliminate most restuarant stops, drive-throughs and vending machines. If you are serious about your health, performance and body composition, you need to be cooking and eating your own food. As Chris Shurart says: the more you cook, the better you look! If you are not currently doing meal prep, check out Week 16 Nutrition Habit: Meal Prep and Meal Prep 101 for details and strategies. For those times when you cannot sit down and eat a real meal, having a pre-blended power shake will help you out tremendously. Here is my Power Shake Template. Note: When it is time to eat, all you need to do is add water to the cup (that already has the protein and greens powder). If you fail to plan, you are planning to fail!. Plan ahead and enjoy reaching your goals.